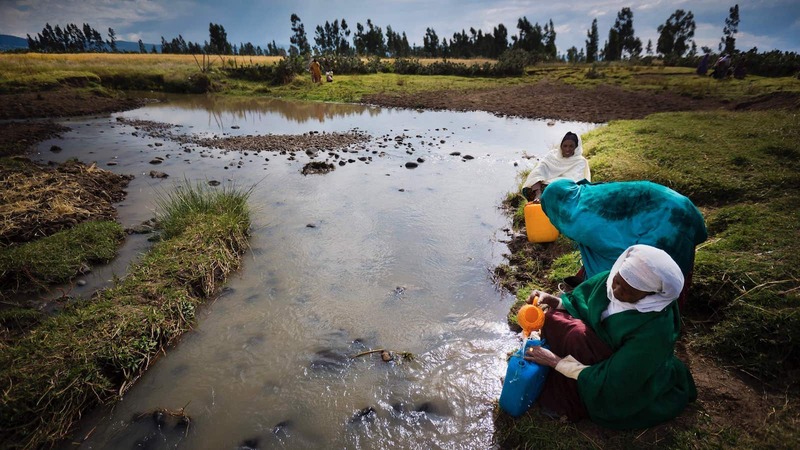 When it comes to women and water in Ethiopia, the burden is heavy. When there is no safe water, women endure physical danger and strain while fetching water over long distances, coping with chronic water-borne illness, missing school, and spending many days caring for sick family members. When safe water is nearby, we see women prosper. Give women safe access to clean water now. Tibka, a slender Ethiopian woman in her mid-20s, sits on a stool outside a tiny, dark room she has rented in the rural town of Dodola. 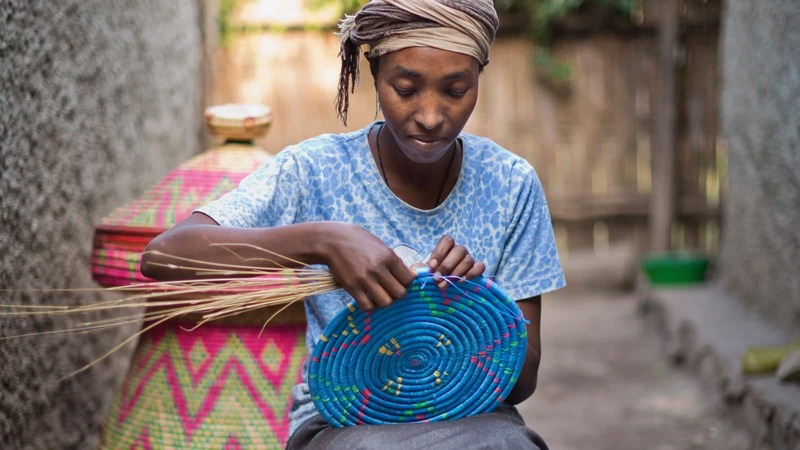 She patiently wraps long strips of plastic from old sacks around straw bundles, deftly binding the colorfully wrapped straw into a wide serving tray for injera, the local bread. She is surrounded by evidence of her handiwork — brightly colored, elegantly shaped baskets, traditional serving trays, and low woven serving tables. She has clearly mastered her craft. Tibka is also enrolled in university, which means she is intelligent and has persevered against many odds. She dreams of becoming a veterinarian, and she is well on her way to making that dream a reality. Tibka grew up in a town without a source of clean water. As young as four years old, she — like all of the girls in her town – spent many hours every day with a large clay pot strapped to her back, collecting water from a contaminated river. Fortunately, when she was ten years old the town installed a water system with hand pumps distributed every few kilometers. That single change allowed Tibka’s opportunities to blossom. She was able to attend primary school, then high school, and was eventually accepted into the animal health program at the local university. At present, Tibka’s only concern is to finish her studies. She lifts the lid of one of her enormous baskets to reveal a pile of well-worn school books. Little by little, clean water plus ambition and hard work are bringing Tibka closer to her dream of becoming a veterinarian.